The objective of this program is to increase access to finance for micro-enterprises by offering additional guarantee from EIF until 1 March 2021 for loans and leasing amounting to EUR 123m in Latvia, Lithuania, and Estonia. If you cannot log in – fill in the application and send us by email: info@swedbank.lt or call 1633. The EaSI guarantee if free of charge for clients. * Program for supporting microfinance and social entrepreneurship finance for vulnerable persons and micro-enterprises in Europe. This funding is granted through a guarantee provided by the EUROPEAN PROGRAMME FOR EMPLOYMENT AND SOCIAL INNOVATION (EaSI) program and the European Investment Fund (EIF), established in accordance with the European Investment Program. The EIF goal is to support the financing of productive investments in the European Union, to facilitate access to finance and promote the competitiveness of businesses. You will learn more about the EaSI program by visiting the EIF Home Page. Improper fulfilment of your financial obligations increases your funding costs and can negatively affect your credit history; moreover, if the agreement is terminated due to a material violation on your side, forced debt recovery may be launched and you may lose your ownership right to the pledged property, in the case of leasing, you may lose not only the already paid premiums, but also the rights to the financed assets. New financing opportunities are possible due to the guarantee provided by the 2014–2020 Programme for the Competitiveness of Enterprises and Small and Medium-sized Enterprises (COSME) and the European Fund for Strategic Investments (EFSI) established according to the Investment Plan for Europe. The objective of the EFSI is to help support financing and the implementation of productive investments in the European Union, as well as to ensure greater access to finance. On 1 June 2016, the European Investment Fund (EIF) and Swedbank AB in Lithuania, Swedbank AS in Estonia, and Swedbank AS in Latvia (hereinafter collectively referred to as ‘Swedbank’) as well as Swedbank Lizingas UAB in Lithuania, Swedbank Liising AS in Estonia, and Swedbank Līzings SIA in Latvia (hereinafter collectively referred to as ‘Swedbank Leasing’) signed agreements on the basis of which EIF, in accordance with the COSME programme, issued guarantees in favour of Swedbank and Swedbank Leasing thanks to which these companies intend to provide as much as EUR 165 million in financing (Swedbank: investment loans, working capital loans, lines of credit, overdrafts, guarantees and letters of credit, and Swedbank Leasing: leasing (lease financing)) by 1 June 2019 to small and medium-sized enterprises in Lithuania, Latvia and Estonia. *In the cases provided by EU legislation are counted consolidated indicators and related persons of the company. Only investments in tangible and/or intangible assets and/or working capital are financed. Improper fulfilment of financial obligations increases your financing costs and may have a negative impact on your credit history, and if the agreement is terminated due to it being violated by you in essence, enforced recovery of debt may be initiated and you may lose your ownership rights to the pledged property, and in the case of lease, you may lose not only the instalments already paid, but the rights to the property being financed as well. The bank guarantee is a demand guarantee, and the bank does not investigate the client’s disputes with the beneficiary of the guarantee regarding performance of the obligations secured by the guarantee – the bank pays according to the guarantee upon receiving the first demand of the beneficiary that meets the terms of the guarantee, and the client is obliged to pay the bank the amount paid by the latter without delay. Payment is made not according to the goods, but according to the documents submitted to the bank corresponding to the terms of the letter of credit, therefore (i) be careful when formulating the requirements applicable to them, and (ii) there is still a risk that the seller may dispatch, for example, the wrong product or a different type of product. The letter of credit is a bank obligation that is decoupled from the corresponding contract of transfer of goods – if changes to such a contract are made, they do not automatically apply to the letter of credit as well, so in order for these amendments to also be valid for the letter of credit, an amendment to the terms of the letter of credit must also be made. More information about the COSME programme can be found on the EIF website. The EIF and Swedbank have signed a cooperation agreement to issue loans under the JEREMIE programme. JEREMIE (Joint European Resources for Micro to Medium Enterprises) is an initiative developed by the European Commission together with the European Investment Bank Group. It promotes the use of financial engineering instruments in an effort to improve access to finance for small and medium-sized enterprises via structural funds interventions. According to the agreement that has been signed, clients can be provided with investment loans (for investments in tangible and intangible assets) or working capital loans (for business expansion and development). In Lithuania, the JEREMIE programme is financed by European Union structural funds and national resources according to the 2007–2013 Operational Programme for Economic Growth. Please note that new financing agreements are no longer being concluded under the JEREMIE programme. Micro, small and medium-sized enterprises according to the Republic of Lithuania Law on Small and Medium-sized Business Development. The number of employees, annual income and the value of balance sheet assets calculated in the procedure established by this law. Loans cannot be granted for projects directly related to primary fishery, aquaculture and agricultural products or to companies directly involved in the arms, tobacco, human cloning or gaming industries. Other restrictions may also apply. Improper fulfilment of financial obligations increases your financing costs and may have a negative impact on your credit history, and if the agreement is terminated due to it being violated by you in essence, enforced recovery of debt may be initiated and you may lose your ownership rights to the pledged property. the loan is granted for a period of at least 12 months; the maximum loan duration is 120 months (including the grace period and possible loan extensions); the maximum amount of one loan and financing of this nature provided to a single client is EUR 3.2 million; financing is only provided in euros. the loan may be secured by a pledge of immovable and/or movable property, guarantees or sureties; usually the object of the investment itself must be pledged. If you are interested in a loan, we would be happy to answer any questions you may have. Call us at 1633 for more information or write to us. For your convenience, we will arrange the best time for you to meet with a specialist who will consult you individually. For more information, call us at 1633 or write to us. On 15 April 2016, the Ministry of Economy of the Republic of Lithuania, the Ministry of Finance of the Republic of Lithuania and UAB Investicijų ir Verslo Garantijos (hereinafter referred to as ‘INVEGA’) signed a trilateral agreement on the basis of which the Business Financing Fund Financed by the European Regional Development Fund (hereinafter referred to as ‘the Fund’) was established, with the functions of its manager entrusted to INVEGA. In implementing the Portfolio Guarantees for Loans Financed by the European Regional Development Fund financial instrument that is financed by the Fund, INVEGA selected Swedbank AB to be one of the managers of this instrument. On 19 July 2017, INVEGA and Swedbank AB signed an agreement on the basis of which INVEGA issued a guarantee in favour of Swedbank AB thanks to which the bank intends to provide as much as EUR 25.275 million in financing to small and medium-sized business entities (as defined in the Republic of Lithuania Law on Small and Medium-sized Business Development; hereinafter referred to as ‘SMB entities’) by July 2020. Improper fulfilment of financial obligations increases your financing costs and may have a negative impact on your credit history, and if the agreement is terminated due to it being violated by you in essence, enforced recovery of debt may be initiated and you may lose your ownership rights to pledged property. Investment loans (for investments in tangible and intangible assets). Working capital loans (short-term loans to meet the company’s working capital needs). Lines of credit (short-term loans to meet the company’s working capital needs which the company can re-use and return at any time for the entire term of the line of credit). the value of assets listed in the company’s balance sheet does not exceed EUR 43 million. Important: a loan may only be granted to finance potentially economically viable activities related to the establishment, development or strengthening of SMB entities, or to implement new projects, to enter new markets, or for already established SMB entities to carry out new activities. to companies experiencing difficulties or to companies against which collective insolvency proceedings could be and/or are being initiated. The loan can be combined with non-repayable subsidies and other financial instruments, but taking all forms of financing for specific expenses together, more than 100 per cent of the amount of these costs may not be allocated. Please note that there are more requirements for loans that can be secured by an INVEGA portfolio guarantee as well as for loan recipients interested in receiving these loans. The maximum loan amount is EUR 1,875,000, or EUR 937,500 for companies engaged in road freight transport. Important: in any case, the amount of de minimis aid calculated for the SMB entity according to the loan agreement may not exceed the maximum amount of de minimis aid allowed. There is no limit on the number of loans per loan recipient, provided that the total loan amount does not exceed the de minimis aid threshold. Investment and working capital loans are granted for a term of up to 60 months. The maximum loan repayment term (including the grace period and possible loan extensions) is 120 months (calculated from the day that the initial loan contract is concluded). Lines of credit are granted for a term of up to 12 months. The maximum repayment term for a line of credit (including possible line of credit extensions) is 36 months (calculated from the day that the initial line of credit contract is concluded). A loan granted in the form of a line of credit may be changed into a working capital loan, but the maximum repayment term for such a loan may not exceed 60 months (calculated from the day that the initial line of credit contract is concluded). The loan is secured by an INVEGA portfolio guarantee and other collateral (immovable and/or movable property mortgage, pledges, sureties, etc.). financial statements for the past two financial years. More information about INVEGA portfolio guarantees is available here. In order to receive additional information about INVEGA portfolio guarantees and/or submit an application and other documents, please email us at info@swedbank.lt or call 1633. On 15 April 2016, the Ministry of Economy of the Republic of Lithuania, the Ministry of Finance of the Republic of Lithuania and UAB Investicijų ir Verslo Garantijos (hereinafter referred to as ‘INVEGA’) signed a trilateral agreement on the basis of which the Business Financing Fund Financed by the European Regional Development Fund (hereinafter referred to as ‘the Fund’) was established, with the functions of its manager entrusted to INVEGA. 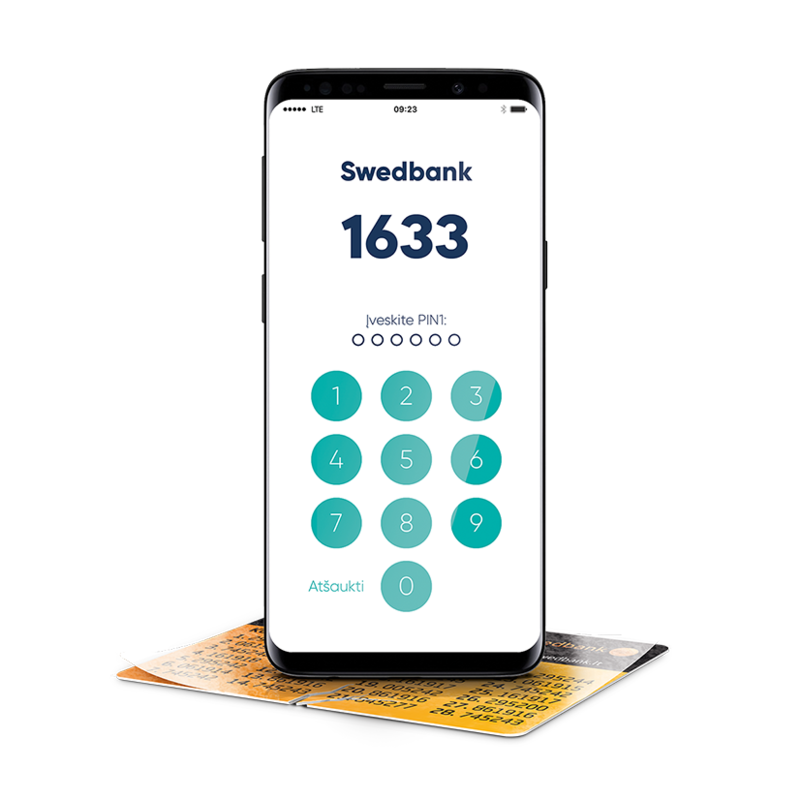 In implementing the Risk-Shared Loans Financed by the European Regional Development Fund financial instrument that is financed by the Fund, INVEGA selected Swedbank AB to be one of the managers of this instrument. On 1 August 2017, INVEGA and Swedbank AB signed an agreement on the basis of which INVEGA plans to allocate as much as EUR 36.030 million in financing from the Fund to small and medium-sized business entities (as defined in the Republic of Lithuania Law on Small and Medium-sized Business Development; hereinafter referred to as ‘SMB entities’) by August 2020. The loans, 45 per cent of the total amount of which will be financed by the Fund and 55 per cent – by Swedbank AB, will be provided to SMB entities on behalf of the bank. The total amount of loans available under this measure is EUR 80.067 million. To SMB entities that have been in operation for less than one year when the financing amount is EUR 25,000 or less. Please note that there are more requirements for risk-shared loans as well as for loan recipients interested in receiving these loans. The maximum loan amount is EUR 4,000,000. More information about risk-shared loans is available here. In order to receive additional information about risk-shared loans and/or submit an application and other documents, please email us at info@swedbank.lt or call 1633.